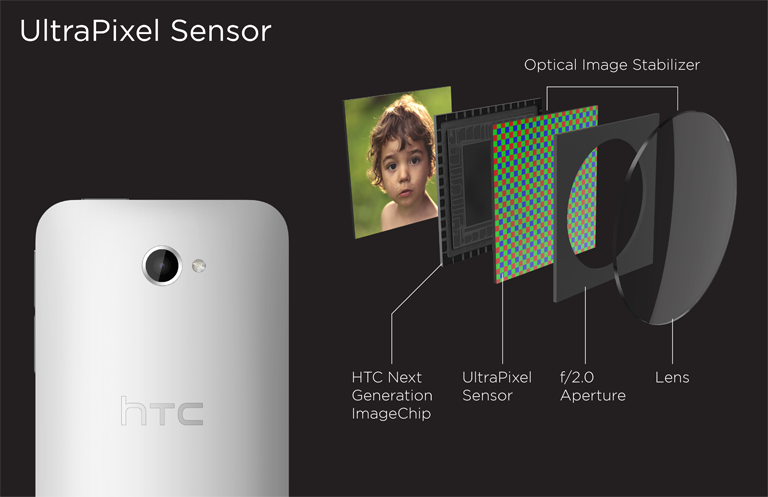 As we already know HTC has launched its new flagship device, HTC One along with 4MP Ultrapixel Camera. Other spec of HTC One includes a 1.7GHz Qualcomm Snapdragon 600 quadcore processor, 2GB of RAM, 32GB or 64GB of onboard storage and dimensioning a 137.4 x 68.2 x 9.3mm body. It will be available after march 15 in almost 80 markets. Well term ‘Ultrapixel’ is not any registered term and so not relate to any scientific term. Than what it is? Example: Like an Atom is divided into Electrons, Protons and Neutrons similarly we can relate Ultrapixels with Megapixel. As Megapixel refers to a million pixels and if we zoomify and cut down the pixels than the small pixels produced be can referred as UltraPixel. Its the advanced imaging technology and can provide sharper and more color accurate images using three overlaid sheets of pixels on the sensor. How Ultrapixel Camera Works? Is it better? Ultrapixel Camera works with three overlaid sheets of pixels on the sensor which ultimately provides bigger pixel size over just total pixel count which can record more light and data on our photos display with more shades and greater color accuracy. There are many other technical things which works to give better image. To know what it features and what are those technical things see the features below. HTC camera have surface area of 2.0 micrometer while 1.4 micrometer pixel is found on 8MP which results in the pristine level of clarity and detail. 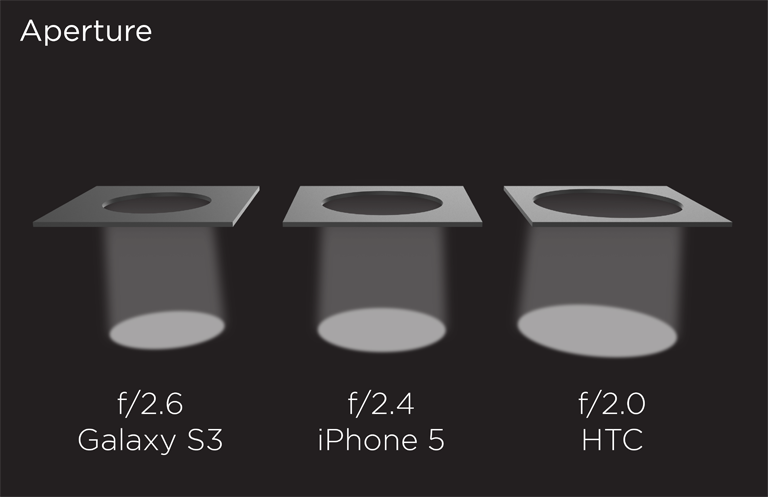 The HTC One uses an f/2.0 lens. This figure refers to the aperture, how big the lens’s light opening is. It’s better than the iPhone 5’s f/2.4 lens, and matches the Nokia Lumia 920. HTC Ultrapixel Camera have the ability to capture “300% more light than many of the 13 megapixel cameras on the market.” It have a CMOS BSI and is classified as having a 1/3? sensor size as that of the Nokia Lumia 920 but the 920 has 8.7-megapixels compared to the HTC One’s 4MP. 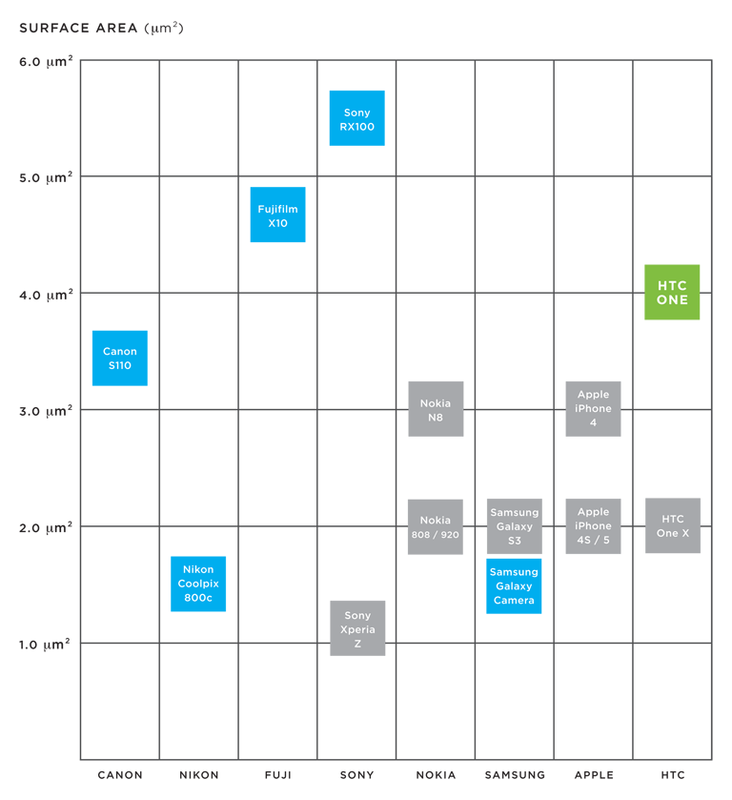 Its sensor size is equivalent to the sensor size found on other 8MP or 13MP smartphone cameras. Other thing HTC uses is Optical Image Stabilization which allows camera to capture a full sized photo as fast as 1/48 of a second. You can also catch blur-less action shots without a flash. 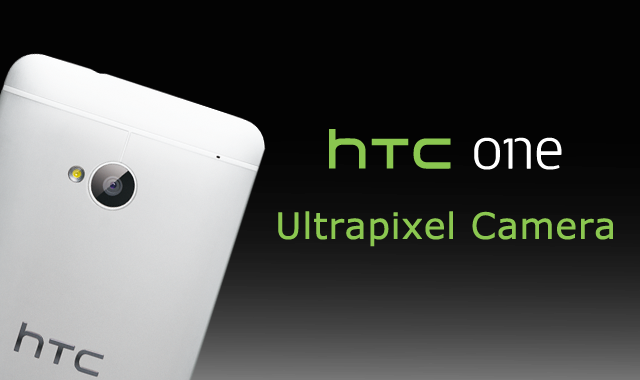 The 4-megapixel camera on the HTC One outputs 2688 x 1520 images. 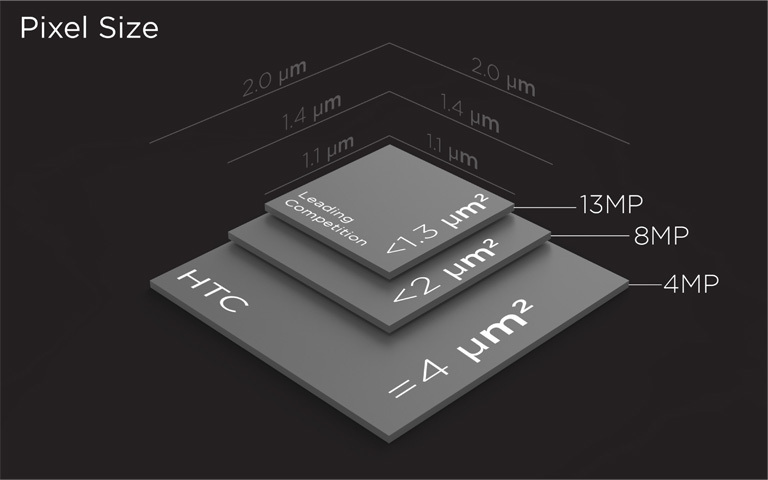 The HTC One’s OIS works at an “unprecedented” frequency of 2000Hz and has been made small enough to fit inside the HTC One’s relatively thin chassis. HTC one Have Better Camera? It seems that HTC One is likely capture very good images with excellent dynamic range and low noise.As mentioned above image size will be of 2688 x 1520 resolution but e quality will be much better than standard cameras. Cuurently we are clear about its competition with iPhone 5 or Nokia PureView 808. HTC Fan? Than must checkout HTC sense versions: What is Sense and Its version.